Alternative Signs has been the premier sign company in Baton Rouge, LA for over 25 years. 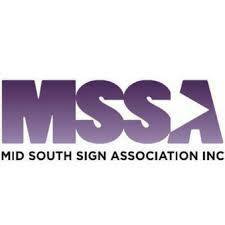 We survey, design, manufacture, install and service signs in the Baton Rouge area daily. As the capital of our great state of Louisiana and the second largest city in the state, Baton Rouge is one of our most esteemed service areas. 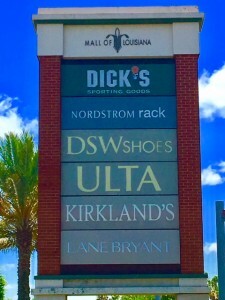 Alternative Signs caters to several clients in the local malls in the Baton Rouge area including Cortana Mall and the Mall of Louisiana, the most pervasive mall in the state of Louisiana. 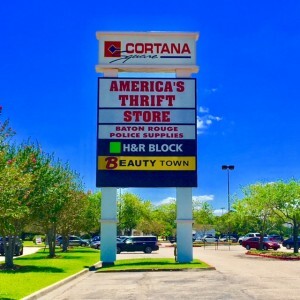 Alternative Signs performs surveys, new sign installations, sign removals and sign service for several retailers, both locally and nationally known, in Baton Rouge Louisiana very often. Our clients are always very satisfied. 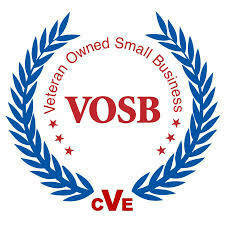 Some of our national clients include ULTA, T-Mobile, Petco, Lane Bryant, Macy’s and many, many more. Our skilled technicians are very familiar with the mall and mall security requirements which is very crucial to complete projects in an efficient manner. Please give Alternative Signs a call for your next sign project anywhere in the Baton Rouge area. Alternative Signs holds a current sign contractor’s license and electrical contractor’s license in the city of Baton Rouge, the parish of East Baton Rouge and the state of Louisiana. Our company completes electrical sign projects on a large scale for the valued businesses in Baton Rouge every day. Alternative Signs also serves government entities such as the Louisiana State University’s Ag Center and the Louisiana Department of Health and Hospitals. We are also your company of choice if you need a local detailed survey of the structure or area in which your sign will be installed. Alternative Signs’ survey team is highly seasoned to gather all essential information to accurately design, manufacture and install the sign of your dreams. We have several highly skilled sign service technicians with over 25 years’ experience that can troubleshoot and repair any sign that needs a little TLC in Baton Rouge Louisiana. Our sign service technicians are also highly trained in parking lot lighting maintenance and area lighting maintenance which is crucial to keep your valued customers safe while shopping at night. There is no sign project too great or too small in Baton Rouge for Alternative Signs to handle for you. Alternative Signs is also the number one provider for promotional signage at Tiger Stadium in Baton Rouge Louisiana (GO TIGERS!). Every year, thousands of spectators visit Tiger Stadium in Baton Rouge, LA throughout football season. Alternative Signs can decorate your booth or cart with your branding. We can also create one of a kind menu boards for your customers to easily choose what they’d like to purchase. Let Alternative Signs get your business noticed this football season in Baton Rouge!